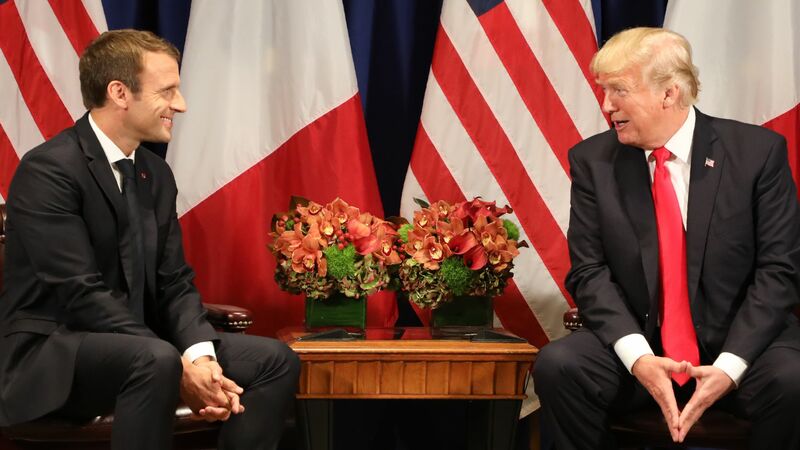 Macron: France convinced Trump to remain in Syria "long-term"
In a television interview on Sunday, French President Emmanuel Macron claimed that France has convinced President Trump that it is "necessary" to remain in Syria "long-term," per the AFP. The backdrop: Earlier this month, the White House said the U.S. military mission in Syria was coming to a "rapid end" and focused on the complete defeat of ISIS. But that was before the suspected chemical weapon attack on April 7 by Bashar al-Assad's government, and this weekend's coordinated strikes on Syrian government targets with France and the United Kingdom.